The Attabad Lake was formed following a massive landslide in 2010, which buried 20 people beneath it and blocked the flow of River Hunza, creating a natural dam. The water has displaced thousands of people and inundated over 19 kilometres of the Karakoram Highway. 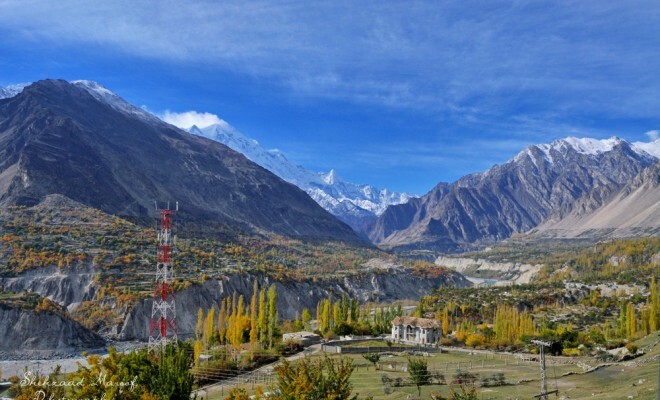 Popular myths surround the formation of several geographical landmarks in Pakistan. The lake at Katasraj, Choa Saidan Shah in Punjab, is said to have formed from the teardrop of Lord Shiva mourning the death of his wife Satti. Ansoo lake in Kaghan is believed to have been created from tears of jealousy shed by Deuo Sufaid, the white giant, when he learnt that Badr Jamal, the fairy princess he was in love with, had chosen to marry Prince Saiful Mulook. Attabad Lake in Hunza, however, was born of less romantic circumstances. In January 2010, a massive landslide blocked the flow of River Hunza, creating a natural dam and burying 20 people beneath it. The rising water displaced thousands of residents and submerged countless villages, fields, orchards a well as a 19-kilometre stretch of the Karakoram Highway (KKH). In 2012, a spillway was created to release a steady flow of water and as the water receded, it revealed the villages that had been buried beneath. It is only now that people have started returning to rebuild their homes and lives. The KKH is also being rebuilt. A new connection is being carved into the mountains around the lake. 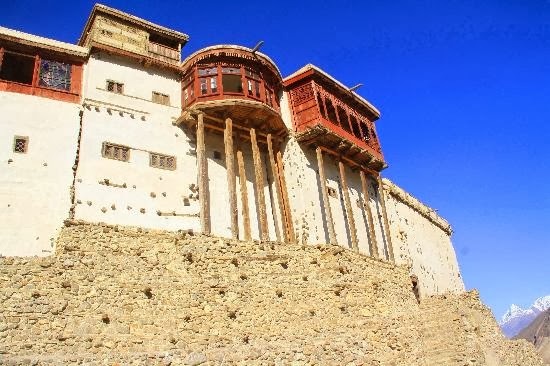 The highway begins in Abbotabad, runs through the mountain ranges of Gilgit-Baltistan, crossing over the Chinese border at Khunjerab and into China up to Kashgar. Reaching an elevation of 4,693 metres (15,397 ft), it is the highest paved international highway in the world. During its 20 years of construction, from 1959 to 1979, approximately 810 Pakistanis and 200 Chinese workers lost their lives mostly in landslides and falls. The reconstruction work is also being done by Chinese companies. Pakistani labourers work under the supervision of Chinese engineers in trying circumstances. The strong, howling gusts of wind often whip up dust, sand and tiny stones that sting the workers’ faces and eyes. They do not have a lot of protective gear other than scarves and sunglasses. 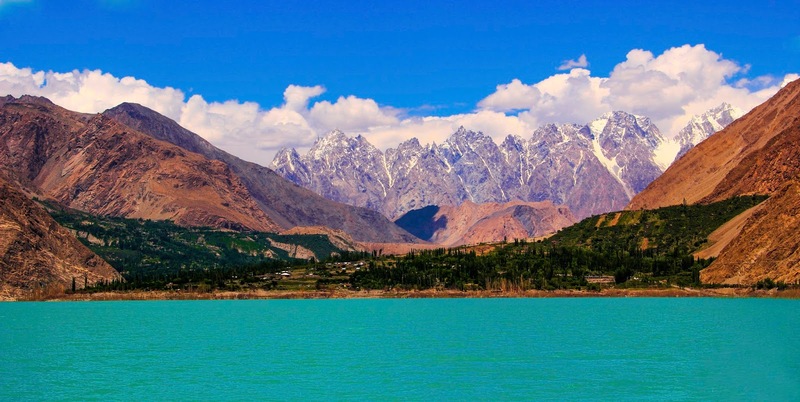 Until the connection is restored, the only way to reach the villages of Shishkat, Gulmit, Passu and places onward to the Chinese border is to cross the beautiful, blue lake by boat. Boats ferry people, their belongings and even cars from one side to the other, all through the day. Even the trucks coming from China, carrying material and equipment for the Karakoram Highway construction have to cross the lake on a barge. It’s easy to see how, once the road is functional, this place will become dotted with food points, restaurants and resorts. Tour guides will narrate the story of how the mountain fell and buried 20 people beneath it. Facts will become a story and the story will become a legend. The 20 people might become 20 suitors coming to win the hand of the princess of Gulmit, whose loud collective wail on finding out that she has already been betrothed, brought down the trembling mountains, while their tears flew into the crater and became a bottomless blue lake. If the tale takes a more contemporary twist, they might become 20 brave village women who encircle the mountain to stop evil corporations mining for the jewels beneath, who blast the mountain anyway and end up burying the women underneath.